You are here : Home \\ Short Sale Articles \\ Just Listed – Berkeley Short Sale – Berkeley Hills! Just Listed – Berkeley Short Sale – Berkeley Hills! Berkeley Hills Short Sale - 6815 Bristol Dr.
Berkeley short sale just listed by East Bay Short Sale Group. Located high in the Berkeley Hills off of Tunnel Rd and Charing Cross Rd, 6815 Bristol Dr. is an exquisite home with plenty of views of downtown Oakland, the San Francisco Bay, bridges, and more! This Berkeley short sale was built in 1996 and is located on 11,336sq ft lot, with great views and expansive decking around the home. The spacious interior is 2,910sq ft with 3 bedrooms, 3.5 baths on two stories, and a 2 car garage. The master suite is located on the main floor, along with a formal living room, dining room, kitchen, and family room. The entire house has Cherrywood hardwood flooring, and bathrooms granite. The chef’s kitchen includes a Viking stove, stainless steel appliances, custom cabinetry. This Berkeley short sale is very spacious and move-in ready and is just a short drive from Hwy 24 and the famous Caldecott Tunnel! Berkeley is located in Alameda County near Oakland and Emeryville, and is home to the University of California Berkeley which employs nearly 15,000 employees. The city population in 2010 was roughly 122,000 and it stretches 17.7 miles, including land and water. It is a short drive to most locations in the East Bay and the Bay Bridge which connects the East Bay to San Francisco. If you would like to schedule a showing of this Berkeley short sale in the Berkeley Hills please have your real estate agent schedule a showing per MLS instructions. If you do not have a real estate agent we would be happy to schedule a time to show you this home at your convenience. And can show you any other home that is currently available in the area. If you are a homeowner already and want more information on the short sale process, please contact us for a free consultation. We are short sale specialists for Alameda and Contra Costa Counties and can help you get your home sold, and even get cash back after closing from your lender! Thanks for your interest in this Berkeley short sale! Previous post: Pittsburg short sale SOLD! Next post: New On The Market, Walnut Creek Short Sale Located in Ashford Court! 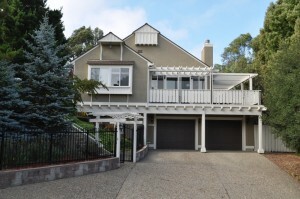 Navigation: Weblog / Blog article: Just Listed – Berkeley Short Sale – Berkeley Hills!